Retire in Sarasota! Nasdaq.com named the 10 best places to retire in 2015 and guess who made it on the list? An important factor was access to health care–a must for a retirement destination. They also evaluated cities based on climate, walkability, housing costs compared with the national median ($200,000), tax-friendliness, culture and entertainment, and access to outdoor activities. Lorraine and Bob Massaro vacationed all over the state of Florida before deciding to retire in Sarasota. Six years after settling into their new home, they are still finding new activities, such as attending a show at the Sarasota Opera and taking an art class at the Ringling College of Art and Design. Life in this small city moves a bit more slowly than in St. Petersburg and Tampa, both of which are about an hour’s drive away. But Sarasota offers plenty of amenities, such as the many restaurants and 130-plus stores in the island shopping center of St. Armands Circle, as well as access to the Sarasota Memorial Health Care system, which is one of the largest public health systems in Florida. Located along the Gulf of Mexico, Sarasota has miles of white-sand beaches, including Siesta Beach and Lido Beach. Homes a few miles inland tend to be newer and more affordable than homes along the waterfront, which start at about $500,000. You will also find a lot of choices for condos, townhouses, villas, as well as impressive waterfront mansions. Nature lovers will find lush landscapes and subtropical wildlife at the local parks, as well as at Celery Fields (an erstwhile celery farm now known for its birds and wetlands) and the Marie Selby Botanical Gardens. 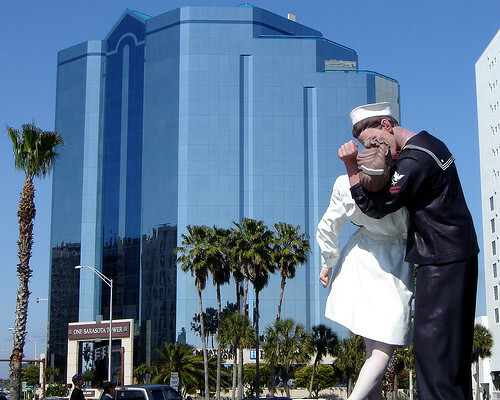 Sarasota also has a lively and diverse arts scene, which includes a ballet company and an 80-member orchestra. The Van Wezel Performing Arts Hall hosts Broadway shows, comedy acts and concerts throughout the year. Residents can choose among an array of music offerings, from jazz clubs to bluegrass jams, and browse art galleries as well as the Sarasota Museum of Art and the Marietta Museum of Art & Whimsy. Florida is one of the most tax-friendly states in the country for retirees. There’s no state income tax, estate tax or inheritance tax. Permanent residents are entitled to a homestead exemption of up to $50,000. Seniors may qualify for an additional exemption. Are you looking to retire in Sarasota? Contact us today!